The provisions of the Montana statutes that permit the filing of mechanics liens and materialman's liens can be found in Montana's Construction Lien Law, MCA § 71-3-521 et. seq. The full text of the Montana Construction Lien Law is provided below, and has been updated as of 2011. 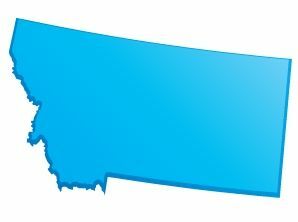 To see a quick synopsis of the most important provisions, take a look at our Montana Frequently Asked Questions page. This part creates and provides for the attachment and enforceability of a construction lien against real estate in favor of a person furnishing services or materials under a real estate improvement contract. A nonconsensual lien against real estate for improvements made thereon may not arise except as provided in this part. (1) “Commencement of work” means the date of the first visible change in the physical condition of the real estate caused by the first person furnishing services or materials pursuant to a particular real estate improvement contract. (2) “Construction lien” or “lien” means a lien against real estate arising under this part. (iii) a breach of contract, including but not limited to defects in workmanship or materials. (b) If a price is not agreed upon by the contracting parties, the contract price means the reasonable value of all services or materials covered by the contract. (4)(a) “Contracting owner” means a person who owns an interest in real estate and who, personally or through an agent, enters into an express or implied contract for the improvement of the real estate. (iv) among tenants in common. (5) “Original contractor” means a contractor who contracts directly with the contracting owner. (vi) preparation of plans, surveys, or architectural or engineering plans or drawings for any change in the physical condition of the real estate, regardless of whether they are used to produce a change in the physical condition of the real estate. (ii) a contract for the planting, cultivation, or harvesting of crops or for the preparation of the soil for the planting of crops. A person who furnishes services or materials pursuant to a real estate improvement contract may claim a construction lien, only to the extent provided in this part, to secure the payment of the person’s contract price. Click Here to File a Montana Document. (iv) tools, appliances, or machinery used on the particular improvement. However, a lien for supplying tools, appliances, or machinery used on the improvement is limited as provided by subsection (3). (2) The delivery of materials to the site of the improvement, whether by the lien claimant or by another, creates a presumption that they were used in the course of construction or were incorporated into the improvement. (b) if they are purchased, the lien is for the price but arises only if they were purchased for use in the course of the particular improvement and have no substantial value after the completion of the improvement on which they were used. (1) A construction lien extends to the interest of the contracting owner in the real estate, as the interest exists at the commencement of work or is subsequently acquired in the real estate, subject to the provisions of this section. (2)(a) If an improvement is located wholly on one or more platted lots belonging to the contracting owner, the lien applies to the improvement and to the lots on which the improvement is located. (b) If an improvement is not located wholly on one or more platted lots, the lien applies to the improvement and to the smallest identifiable tract or parcel of land on which the improvement is located. (3) If the improvement is to leased premises, the lien attaches to the improvement and to the leasehold term. Except as provided in subsection (4), it does not attach to the lessor’s interest unless the lessor contracted for or agreed to the improvement before it was begun. (ii) a lessee and the lease is forfeited by the lessee. (b) If the work or improvement may be removed without harm to the rest of the real estate, the lienholder may have the value determined, the work or improvement sold separately, and the proceeds delivered to the lienholder to satisfy the construction lien. The purchaser shall remove the work or improvement within 45 days of the sale. (5) If a contracting owner contracts for improvements on real estate not owned by the contracting owner as part of an improvement on the contracting owner’s real estate or for the purpose of directly benefiting the contracting owner’s real estate, there is a lien against the contracting owner’s real estate being improved or directly benefited in favor of persons furnishing services or materials to the same extent as if the improvement had been on the contracting owner’s real estate. (1) A person who has furnished services or materials pursuant to a real estate improvement contract is entitled to a lien for the unpaid part of the person’s contract price, subject to the provisions of 71-3-524. (2) A person’s lien is reduced by the sum of the liens of persons claiming construction liens through that person. (d) a person who furnishes services or materials pursuant to a real estate improvement contract that relates to an improvement that is partly or wholly commercial in character. (2) A person who may claim a construction lien pursuant to this part shall give notice of the right to claim a lien to the contracting owner in order to claim a lien. (3) Except as provided in subsection (4), the notice may not be given later than 20 days after the date on which the services or materials are first furnished to the contracting owner. If notice is not given within this period, a lien is enforceable only for the services or materials furnished within the 20-day period before the date on which notice is given. (4) When payment for services or materials furnished pursuant to a real estate improvement contract, excluding a contract on an owner-occupied residence, is made by or on behalf of the contracting owner from funds provided by a regulated lender and secured by an interest, lien, mortgage, or encumbrance for the purpose of paying the particular real estate improvement being liened, the notice required by this section may not be given later than 45 days after the date on which the services or materials are first furnished to the contracting owner. If notice is not given within this period, a lien is enforceable only for the services or materials furnished within the 45-day period before the date on which notice is given. (5) The notice of the right to claim a lien must be sent to the contracting owner by certified mail or delivered personally to the owner. Notice by certified mail is effective on the date on which the notice is mailed. If the notice is delivered personally to the contracting owner, written acknowledgment of receipt must be obtained from the contracting owner. A person may not claim a construction lien unless the person has complied with this subsection. (6)(a) A person who may claim a lien shall also file with the clerk and recorder of the county in which the improved real estate is located a copy of the notice of the right to claim a lien, in the form required by 71-3-532. This copy may not be filed later than 5 business days after the date on which the notice of the right to claim a lien is given to the contracting owner. The notice filed with the clerk and recorder must be signed by the person filing the notice or by a person authorized to sign for the person filing the notice. (b) The county clerk and recorder may allow the notice of the right to claim a lien to be electronically filed. A notice filed electronically with the clerk and recorder must be electronically signed by the person filing the notice or by a person authorized to sign for the person filing the notice. (c) The notice filed with the clerk and recorder for the purpose of public notice is effective for 1 year from the date of filing. The notice lapses upon the expiration of the 1-year period unless the person who may claim a lien files with the clerk and recorder a 1-year continuation of the notice prior to the date on which the notice lapses. The clerk and recorder may remove the notice from the public record when it lapses. (iii) the name of the person to whom the original notice was given. (e) If a notice of the right to claim a lien is required under this section, a person may not claim a construction lien pursuant to this part unless there is an unexpired notice of right to claim a construction lien or an unexpired continuation notice filed with the clerk and recorder at the time that the person files the lien. (b) the name and address of the contracting owner. (1) The notice of the right to claim a lien must be in writing and state that it is a notice of a right to claim a lien against real estate for services or materials furnished in connection with improvement of the real estate. (2) The notice must contain a description sufficient to identify the real estate against which the lien may be claimed. WARNING: READ THIS NOTICE. PROTECT YOURSELF FROM PAYING ANY CONTRACTOR OR SUPPLIER TWICE FOR THE SAME SERVICE. This is to inform you that .... has begun to provide .... (description of services or materials) ordered by .... for improvements to property you own. The property is located at ..... If .... is not paid, a lien may be filed against the property. THIS IS NOT A LIEN. It is a notice sent to you for your protection in compliance with the construction lien laws of the state of Montana. Under Montana’s laws, those who work on your property or provide materials and are not paid have a right to enforce their claim for payment against your property. This claim is known as a construction lien. If your contractor fails to pay subcontractors or material suppliers or neglects to make other legally required payments, the people who are owed money may look to your property for payment, even if you have paid your contractor in full. The law states that all people hired by a contractor to provide you with services or materials are required to give you a notice of the right to claim a lien to let you know what they have provided. --RECOGNIZE that this notice of delivery of services or materials may result in a lien against your property unless all those supplying a notice of the right to lien have been paid. --LEARN more about the construction lien laws and the meaning of this notice by contacting an attorney or the firm sending this notice. --WHEN PAYING your contractor for services or materials, you may make checks payable jointly to the contractor and the firm furnishing services or materials for which you have received a notice of the right to claim a lien. --OBTAIN EVIDENCE that all firms from whom you have received a notice of the right to claim a lien have been paid or have waived the right to claim a lien against your property. --CONSULT an attorney, a professional escrow company, or your mortgage lender. (1) The contracting owner may file a notice of completion at any time after the completion of any work or improvement. (a) the written acceptance by the contracting owner, the contracting owner’s agent, or the representative of the building, improvement, or structure. The filing of a notice of completion may not be considered as an acceptance of the building, improvement, or other structure. (b) the cessation from labor for 30 days upon any building, improvement, or structure or the alteration, addition to, or repair of the building, improvement, or structure. (d) the name of the contractor, if any. (4) The notice must be verified by the contracting owner or the owner’s agent. (5) A copy of the notice of completion must be published once each week for 3 successive weeks in a newspaper of general circulation in the county where the land on which the work or improvement was performed is situated. (6) The contracting owner shall give a copy of the notice of completion to any person who has given the contracting owner a notice of a right to claim a lien. (1) The county clerk shall endorse upon every lien the day of its filing and make an abstract of the lien in a book to be kept for that purpose and properly indexed, containing the date of the filing, the name of the person holding the lien, the amount of the lien, the name of the person against whose property the lien is filed, and the description of the property to be charged with the lien. (2) The clerk may not file the lien unless it is accompanied by a certification by the lien claimant or the claimant’s agent that a copy of the lien has been served upon each owner of record of the property named in the lien. Service must be made by personal service on each owner or by mailing a copy of the lien by certified mail with return receipt requested to each owner’s last-known address. The certification must state that service was made by delivery of certified mail. (b) the owner files a notice of completion pursuant to 71-3-533. (2)(a) The lien must be filed with the county clerk and recorder of the county in which the improved real estate is located, and the county clerk and recorder may allow the lien to be filed electronically. (b) The person claiming the lien shall certify to the county clerk and recorder that a copy of the lien has been served on the owner of record as provided in 71-3-534(2). (h) a declaration that a notice of a right to claim a lien was given to the contracting owner or an explanation of why the notice was not required. (4) A lien notice that is filed pursuant to this section before the person claiming the lien has substantially furnished services or materials pursuant to a real estate improvement contract is not effective to create a construction lien unless the lien claimant is prevented from fulfilling the lien claimant’s obligation because of the fault of another person. (5) Except as provided in subsection (6), a lien attaches at the commencement of work as defined in 71-3-522. (6) A lien attaches when it is filed if it is for the preparation of plans, surveys, or architectural or engineering plans or drawings for any change in the physical condition of land or structures that are not used incident to producing a change in the physical condition of the real estate. I, .... (insert name and address of person claiming the construction lien), claim a construction lien pursuant to Title 71, chapter 3, of the Montana Code Annotated. I claim this lien against .... (give description of the real property against which the lien is claimed sufficient to identify it). The contracting owner is .... (insert name of the person who owns the real estate and name of the person who entered into the contract to improve it). At the request of .... (give name and address of party with whom person claiming the lien contracted to furnish services or materials), I provided the following: .... (give description of the services or materials provided). The amount remaining unpaid is .... (insert the amount unpaid; if no amount was fixed by the contract, give your good faith estimate of the amount and identify it as an estimate). I first furnished these services or materials on .... (give date) and last furnished services or materials on .... (give date; if the date has not yet arrived, insert an estimate of the date on which services or materials will be last furnished and identify the date as an estimate). Whenever any indebtedness that is a lien upon any real estate, structure, building, or other improvement is paid and satisfied, it is the duty of the creditors to acknowledge satisfaction of the indebtedness in the same manner as a mortgage. If a creditor fails to acknowledge satisfaction, the creditor is liable to any person injured by the failure to the amount of the injury and the costs of action. (1) A person who has filed a notice of the right to claim a lien shall file a release of the notice of the right to claim a lien when the person is paid for the services and materials that are the subject of the notice of the right to claim a lien. (2) If a person subject to the provisions of subsection (1) has been paid for the services and materials pursuant to a real estate improvement contract, the person shall file a release of the notice of the right to claim a lien within 5 business days of the contracting owner’s request that the release be filed. (c) the name of the person to whom the notice of the right to claim a lien was given. (4) The release must be signed by the person who filed the notice of the right to claim a lien or by a person authorized to sign for the person who filed the notice of the right to claim a lien. (1) There is equal priority between or among construction lien claimants who contribute to the same real estate improvement project, regardless of the date on which each lien claimant first contributed services or materials and regardless of the date on which the claimant filed the notice of lien. When the proceeds of a foreclosure sale are not sufficient to pay all construction lien claimants in full, each claimant must receive a pro rata share of the proceeds based on the amount of the claimant’s respective lien. (2) Construction liens attaching at different times have priority in the order of attachment. (1) A construction lien arising under this part has priority over any other interest, lien, mortgage, or encumbrance that may attach to the building, structure, or improvement or on the real property on which the building, structure, or improvement is located and that is filed after the construction lien attaches. (2) An interest, lien, mortgage, or encumbrance that is filed before the construction lien attaches has priority over a construction lien arising under this part, except as provided in subsections (3) and (4). (3) A construction lien has priority, to the extent of the value of the work or improvement that is severable, over an interest, lien, mortgage, or encumbrance that is filed before the construction lien attaches. If the work or improvement may be removed without harm to the rest of the real property, the lienholder may have the value determined, the work or improvement sold separately on foreclosure, and the proceeds delivered to the lienholder to satisfy the construction lien. (4) A construction lien has priority over any interest, lien, mortgage, or encumbrance that is filed before the construction lien attaches if that interest, lien, mortgage, or encumbrance was taken to secure advances made for the purpose of paying for the particular real estate improvement to which the lien was attached. (1) Whenever a construction lien has been filed upon real property or any improvements on the real property, the contracting owner of any interest in the property, whether legal or beneficial, may, at any time before the lien claimant has commenced an action to foreclose the construction lien or within 30 days of the service of a complaint in an action to foreclose the construction lien, file a bond with the clerk of the district court in the county in which the property is located or, if the property is located in more than one county, with the clerk of the district court of any county in which a part of the property is located. (2) The bond must be in an amount 1 1/2 times the amount of the construction lien and must be either in cash or written by a corporate surety company. If written by a corporate surety, the bond must be approved by a judge of the district court with which the bond is filed. (3) The bond must be conditioned that if the construction lien claimant is finally adjudged to be entitled to recover upon the claim upon which the construction lien is based, the principal or the principal’s sureties shall pay to the claimant the amount of the claimant’s judgment, together with any interest, costs, attorney fees, and other sums that the claimant would be entitled to recover upon the foreclosure of a construction lien against the principal. Upon the filing of a bond as provided in 71-3-551, the lien against the real property shall forthwith be discharged and released in full and the bond shall be substituted for such lien. (1) When a bond is filed prior to the service of a complaint in an action to foreclose upon a construction lien as allowed in 71-3-551, the person filing the construction lien may bring an action upon the bond. (2) The action must be commenced within the time allowed for the commencement of an action upon foreclosure of a lien, and the statute of limitations applicable to a lien foreclosure applies to an action upon the bond as it would had a bond not been filed. All persons interested in the matter in controversy or in property charged with the lien or having liens thereon may be made parties. All actions under this part must be commenced within 2 years from the date of the filing of the lien. (1) Except as otherwise provided in this part, the provisions of Title 25 are applicable to and constitute the rules of practice in the proceedings mentioned in this part. (2) The provisions of Title 25 relative to new trials and appeals, except insofar as they are inconsistent with the provisions of this part, apply to the proceedings mentioned in this part.